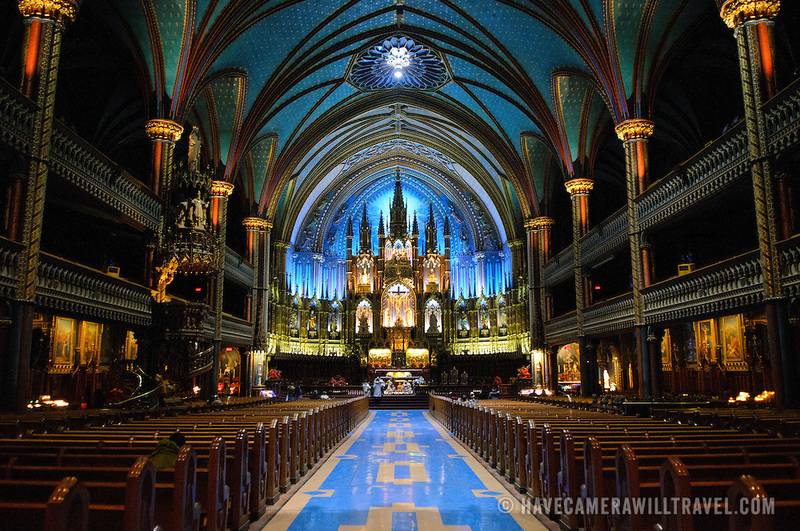 Interior and main altar of the Notre-Dame Basilica in the heart of Old Montreal. With the exterior modeled loosely on the famous Notre Dame de Paris, when the second tower was completed in the 1840s, the Basilica was the largest church in North America. It features dramatic interior lighting and exceptionally ornate decorating throughout along with a pipe organ consisting of 9000 pipes.